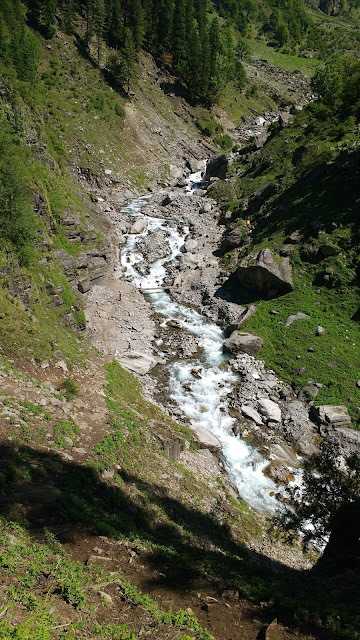 Words end up as cliches in describing the Himalayas. 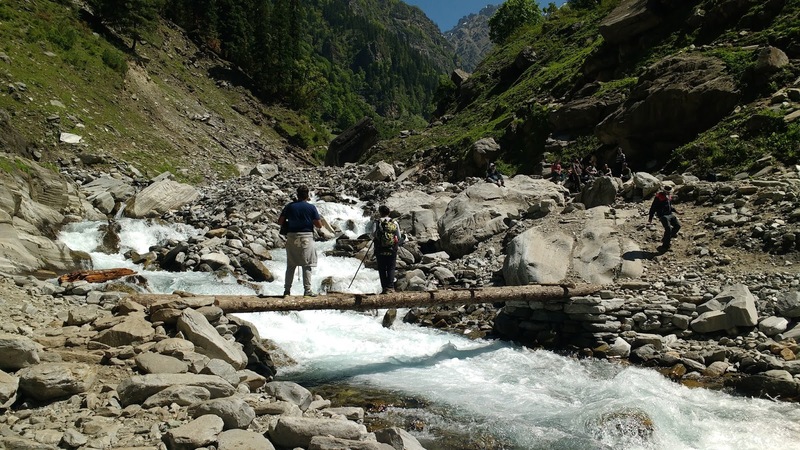 The Himalayas are best experienced, and the best way to do this is to hike on foot. Though 'development' is already ruining the joy of treks in certain parts of Himachal, the Rupin Pass trek is still unaffected and untamed. Crossing the log bridge over the stream during the trek to Buras Kandi. In reflection, I wish to have taken fewer photographs and let the moment sink in deeper. Yet, that ubiquitous need to photograph and shoot short videos to aid storytelling later back home got the better of me. Still, I think I was judiciously enough to not use the cell phone camera all the time, except at select places and enjoy the trip raw and first-hand, for most of its duration. The best moments happened when the cell phone was tucked away safely in my backpack. 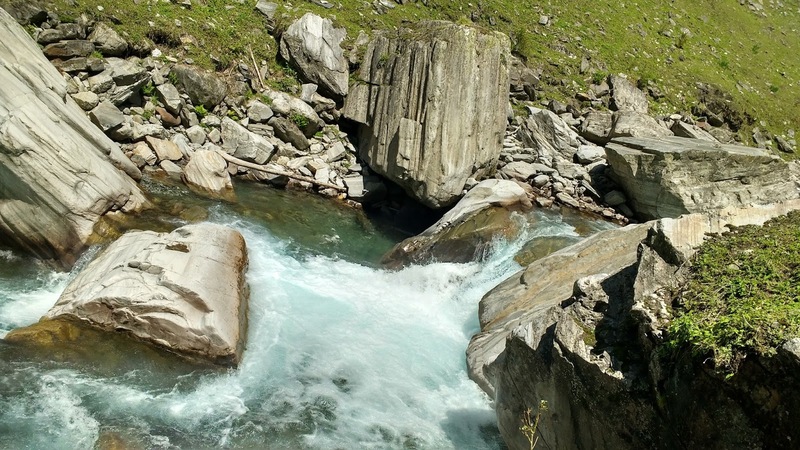 Gurgling with force, flowing with vigor, one feels transported to the making of the world, the time when humans were yet to conquer the earth with an insatiable greed, the time when nature was king and queen. 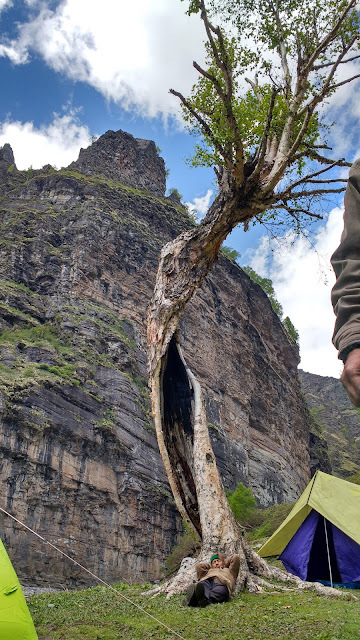 Nature still rules in the Himalayas, but it is a fragile co-existence, as we witnessed in later sections of the trek. 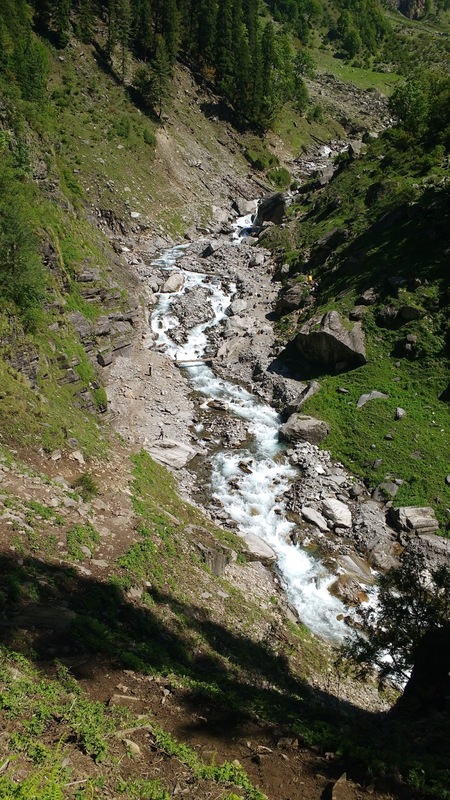 The Rupin Pass trek route is a traditional path that dates back to more than 800 years. 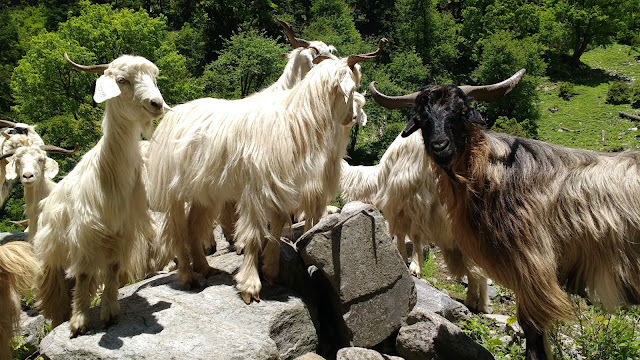 Shepherds are known to be the originators of this route, leading their mountain goats through the mountain passes, snow tops, and valleys for many generations now. 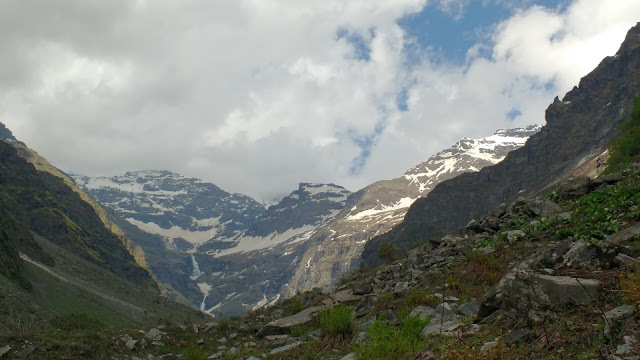 Mountain goats and shepherds were our companions right up to the Rupin Pass summit climb. Behold! The first sight of snow! Yes, I finally get to see the first snow of my lifetime! The mountain is farther away than it looks, hazy and mysterious even on a sunlit day. My first touch of snow, duly documented during the acclimatization climb at Buras Kandi, as melting on the top of my finger. 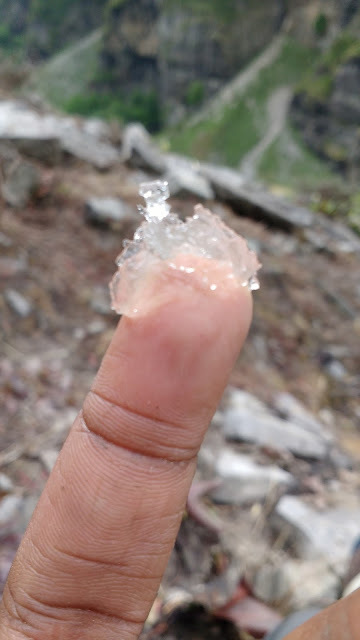 This is not fresh snow, the feel of it is like ice kept in a deep freezer for an entire season and then sprayed on the mountains as some kiddish mischief. My first snow trek was to follow the next day. One of our porters rests under a twisted tree.The organizers pick a great place to camp as always at Buras Kandi. It has been a grueling but rewarding day of trekking. As we continue to gain height, now camping at over 11,000 ft, the scenery is more breathtaking. Mountains loom over us like benign giants and the upper and lower waterfalls come into view. It's an epic setting, for some seconds it seems unreal. A couple of months ago it was highly unlikely for me to be here, yet here I was.